Questions about the Check Scanner Cleaning Cards? We can help. For more information about the Check Scanner Cleaning Cards, or any of our products and services, call us at 1.800.457.8499 or email us. 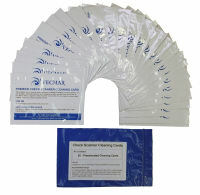 Order your Check Scanner Cleaning Cards today. 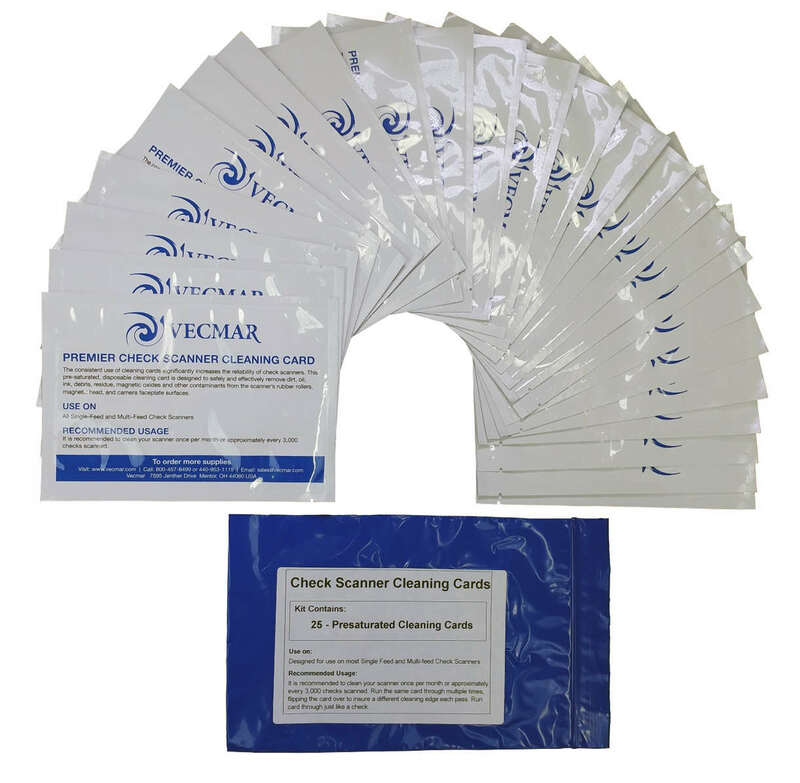 Order your Check Scanner Cleaning Cards now. Your purchase order, with credit approval, is welcome, as well as all major credit cards, PayPal and Google Checkout. Remember, you'll get FREE technical service with every product you buy from Vecmar.